“Features” and “benefits” are key terms in marketing. Some business owners confuse the two as being one and the same. Others focus on one without giving enough attention to the other. Effective marketing makes use of both terms in conjunction. If you are a business owner in the midst of a marketing campaign, you need to understand how to distinguish the two terms just as well as you are able to identify various organizational structure types. This will help you to make better use of them. Here are the differences between marketing features and benefits. 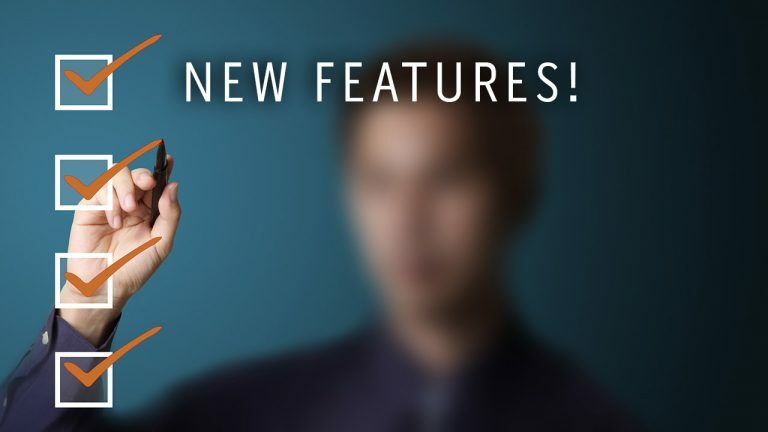 In marketing, features provide descriptions of the product. They detail what the products can do. For example, an ad about sun-protective makeup would include details about its SPF contents. It would display “SPF 50” somewhere in the ad and label the makeup as a “shield against sunlight.” The main purpose of features is to educate the consumer on your product. It gives them straight descriptions and expects the consumer to know how those features will fulfill their needs. They do not speak to customers on a deeper level, which is something benefits do. This is what differentiates features and benefits. Features are mainly concerned with giving information about the product. Benefits, on the other hand, keep the consumer in mind. They show how a product can benefit the customer. For example, while a feature might describe sun-protective makeup as being “SPF 50”, a benefit would explain how it can “protect your skin from the sun’s harmful rays.” Benefits identify a consumer’s need. They speak to that need in order to influence a purchasing decision. Ultimately, a benefit describes why a customer should buy a product. A feature describes what the product is. This is the most important difference between features and benefits that you should remember for your next Instagram marketing campaign. Features and benefits are not two halves of a whole. Generally, benefits are more important than features. Customers use features to compare products and learn more about what they do. Benefits however, are more important in that they answer the question: “what’s in it for me?” People want reasons for why they should choose your product over another. Benefits do not just describe the end results of using your product. They also identify inherent advantages your product might have over its chief competition. They determine whether or not you make a sale. This is a major distinction between features and benefits. Applying features to your marketing campaign is easy. Simply display the product and list its capabilities. You can talk about pricing, function and appearance. Benefits however, require a deeper understanding of your market. In order to apply benefits to your marketing effort, you need to first identify your target audience, which will also help for optimizing Amazon stores, if you have one. Consider the product from their perspective. Speculate as to what their thoughts would be. Then, consider how your wording is going to bring about results. Benefits are a calculated effort with a beginning and an end. Features serve their purpose immediately. This is an important difference between features and benefits. One way to define a benefit is to use a little trick called the “So What?” trick. If you are trying to identify whether a particular feature is a benefit, ask yourself the question – “So what?” By doing so, you are able to distinguish between features and benefits. Continue asking so what for as long as you can. If you can still find a reason that this feature improves your customer’s life, then it is a benefit. If not, it is a feature. This is a simple trick that effectively identifies the differences of features vs benefits. Features and benefits are two very distinct aspects of marketing. Features describe your product. They detail its functions and feed consumers with factual information. Benefits explain why customers should buy your product. They also explain why your product is superior to its competitors. Overall, benefits are meant to push consumers toward making a purchase. Understanding the distinction between features and benefits is vital to successful business. By examining the differences of features and benefits listed in this post, you will be able to build a more effective marketing campaign.